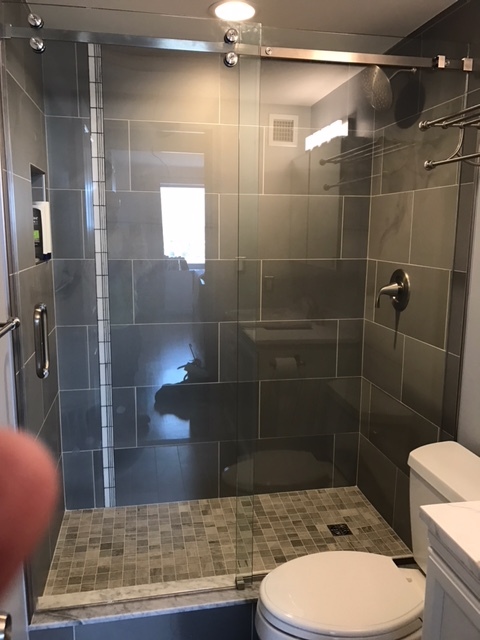 Cut, polished, fabricated, and tempered in house! 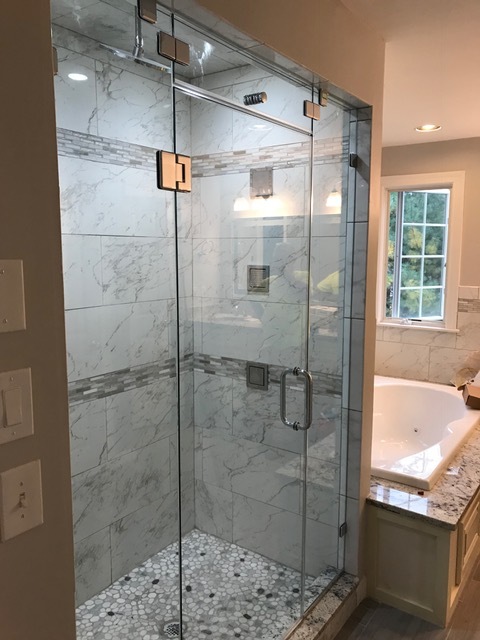 Transform the look of your bathroom by installing a custom shower door, tub enclosure and/or sliding glass doors that fit and meet your bathroom's needs. 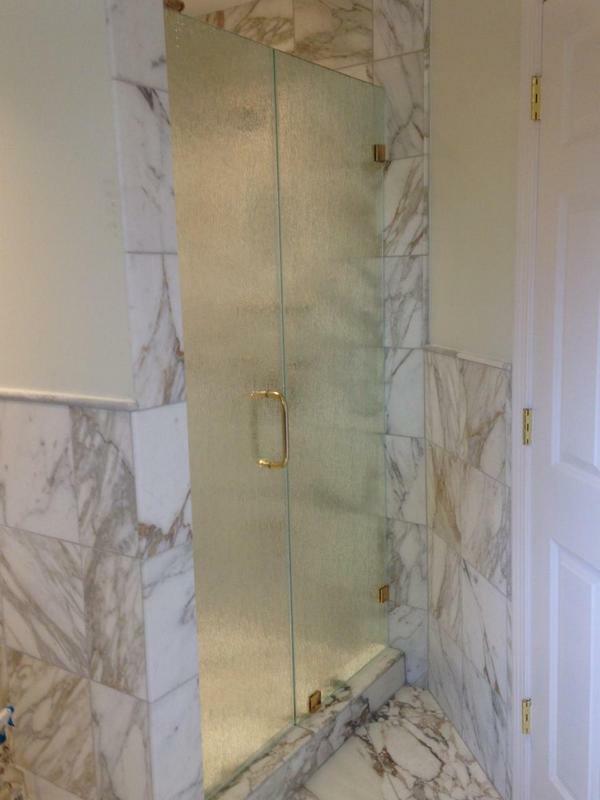 Glass shower doors and enclosures add a nice touch of sophistication and really open up your bathroom. 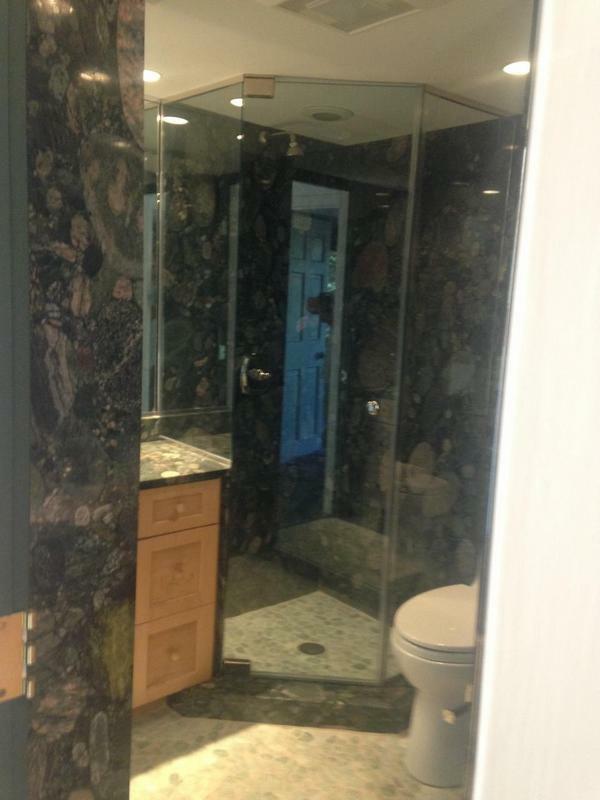 All of our glass is cut, polished, and tempered in-house. 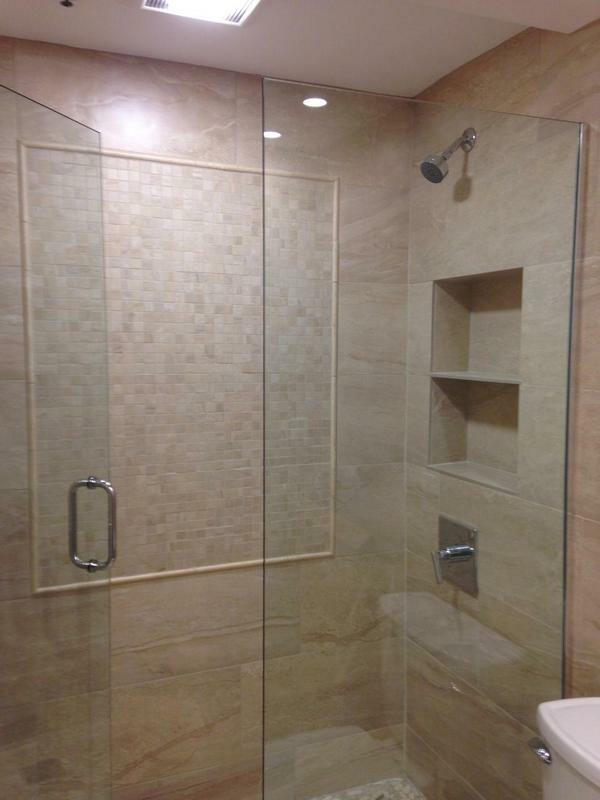 We will send out a technician who will help draw out your design and take measurements so we can get you a quote. We offer a wide variety of hardware in multiple finishes and styles. 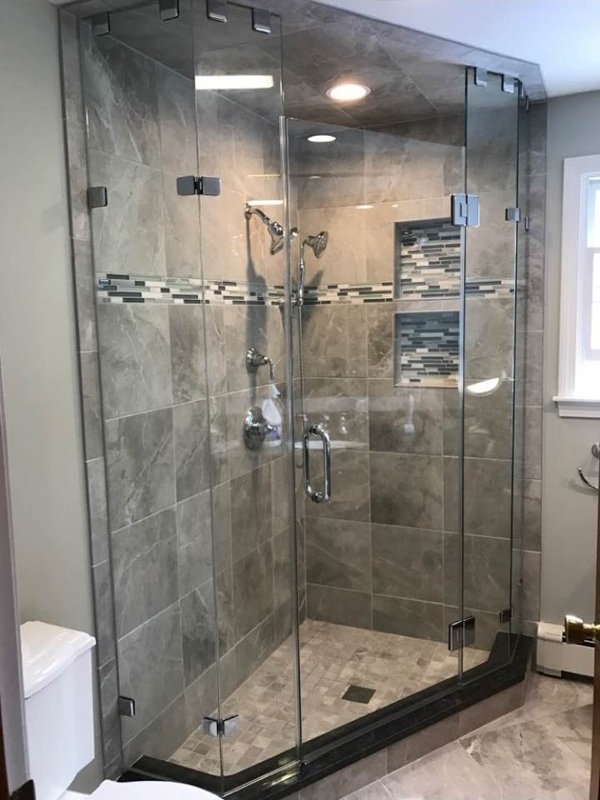 Take a look over in our project galleries to view some of the projects we've made and installed around Massachusetts and New England. 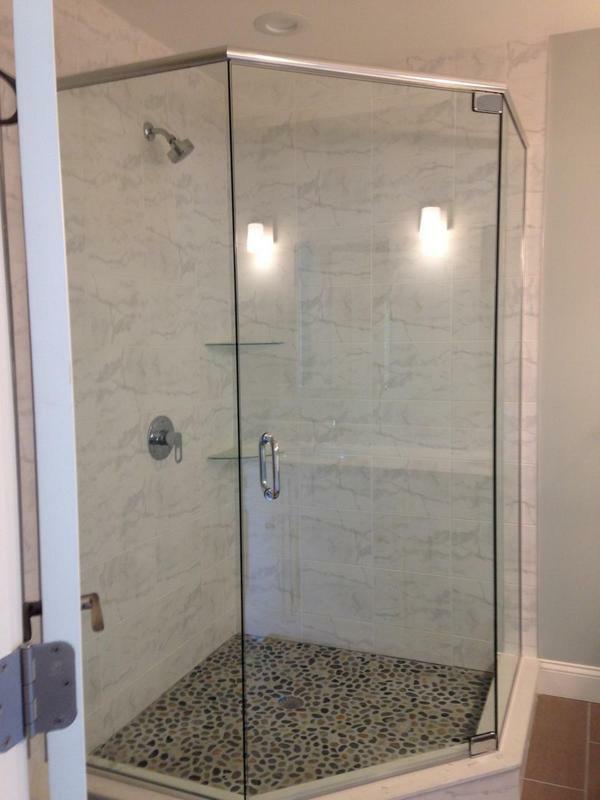 Our professionals measure and draw out the shower door/enclosure you want to your specifications. 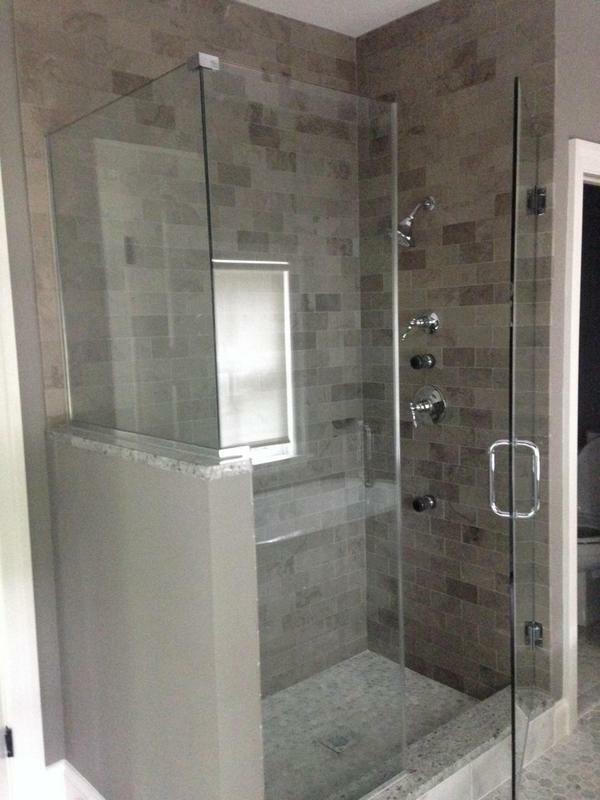 You can choose between 3/8" or 1/2" glass and from a wide selection of hardware and finishes. Our technicians can inform you of all your options. Once the project specifications and measurements have been confirmed, we will enter your order into production. 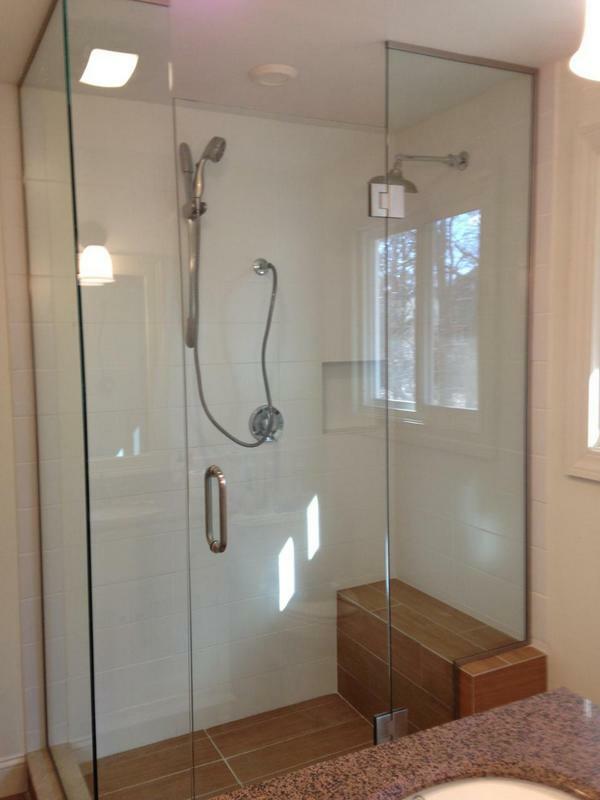 Our office staff can let you know what the current lead times are for shower door glass when the order is placed. The two most popular choices are clear or low iron. Low Iron is almost chrystal clear when viewed from the edges of the glass and is the sure choice if luxury is your style. 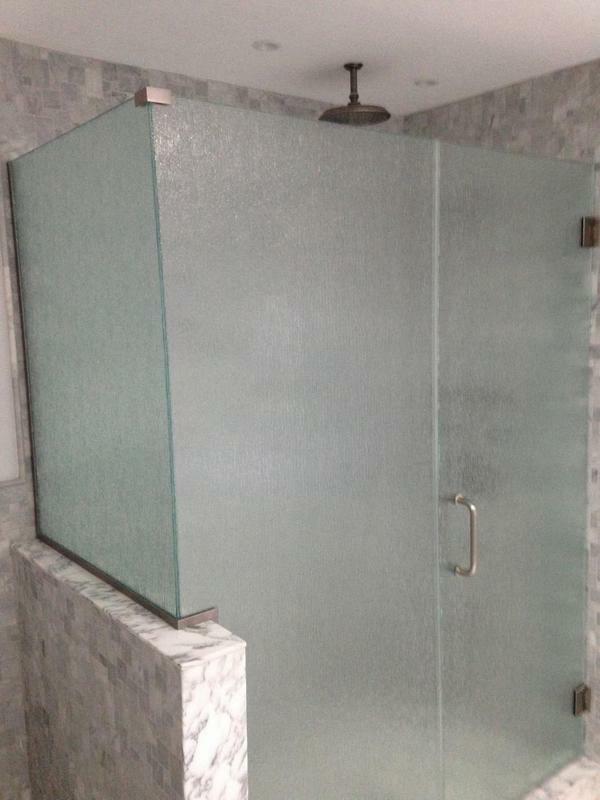 Clear glass has a green hue on the edge, but is more economical and by far our most popular choice. 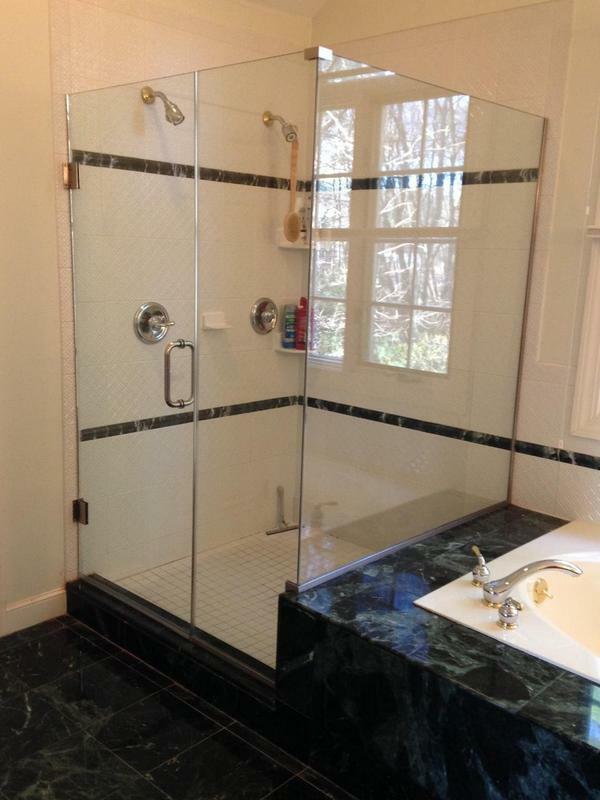 Both types of glass are high quality and will leave your shower looking sleek and professional. 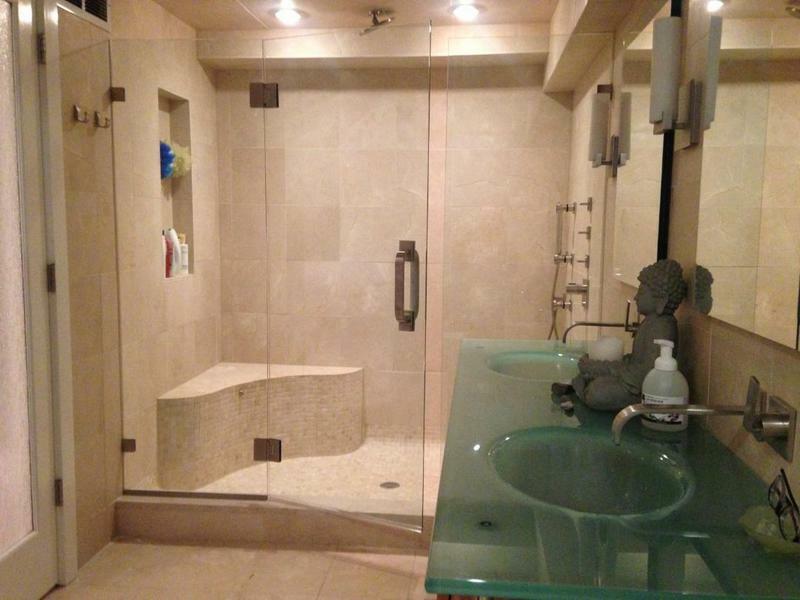 Different types of pattern glass (such as frosted or rain glass) are available as well. Please contact our office if you would like to explore these options. 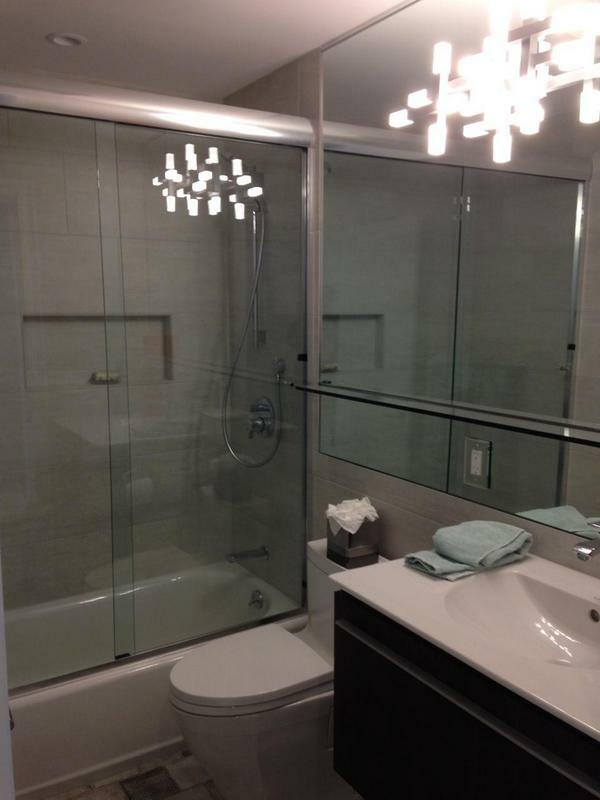 The enclosure style depends on the set up your bathroom has. 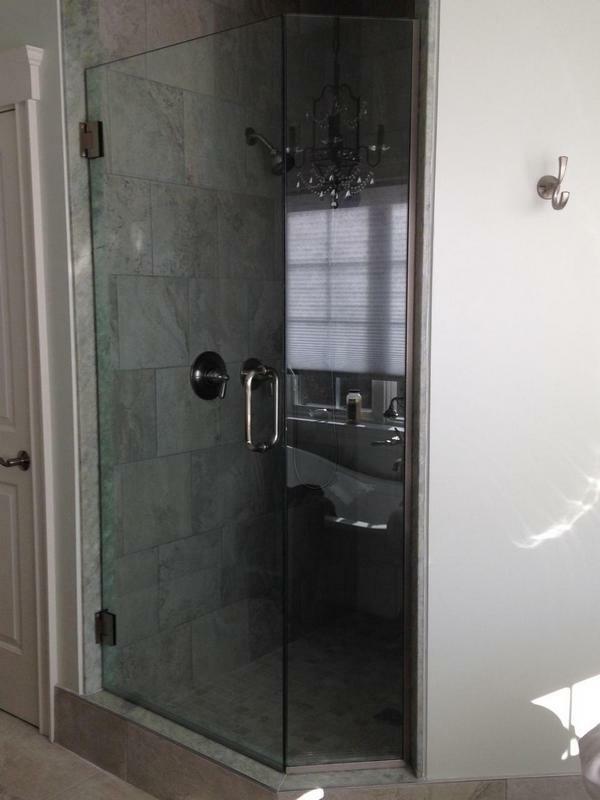 For tub/shower combo enclosures, typically sliding glass doors are used. 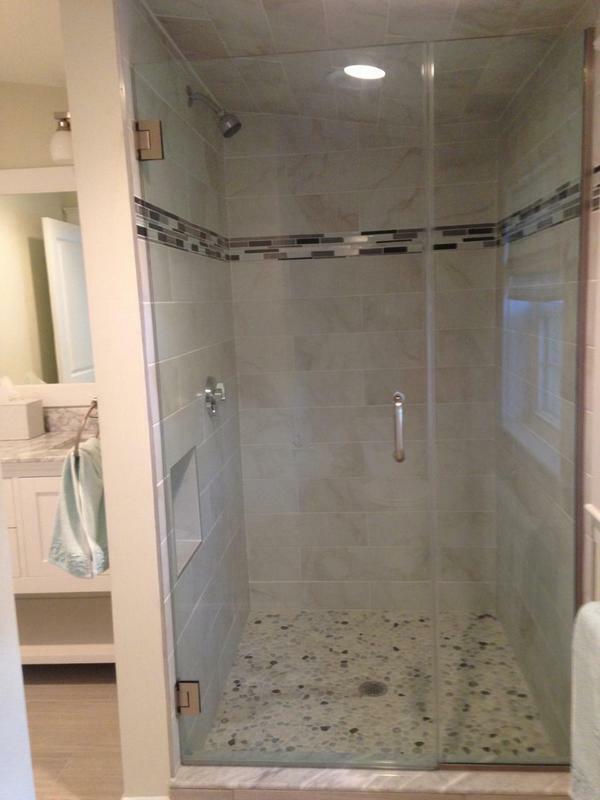 For standalone showers, the style you get all depends on the space you have and what you want the end results to be. 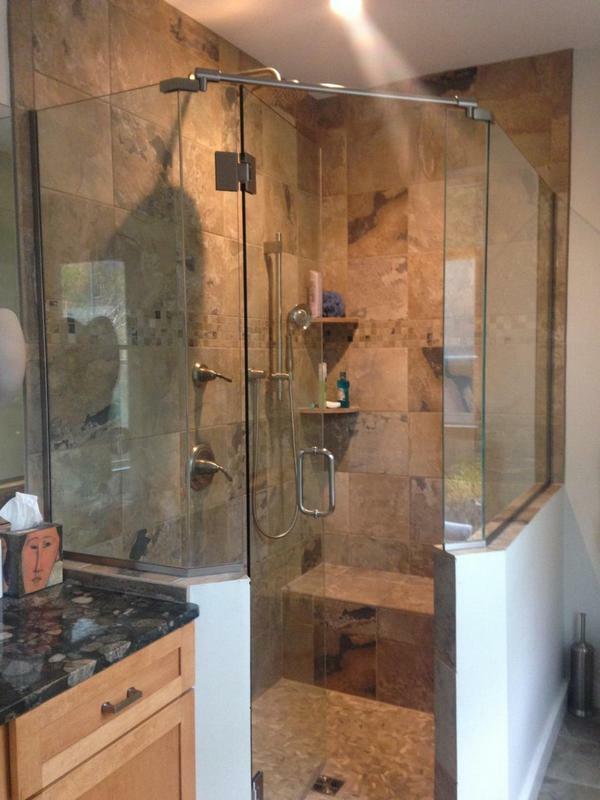 If you're going with a steam shower, there are different types of vents that can be customized for your shower. 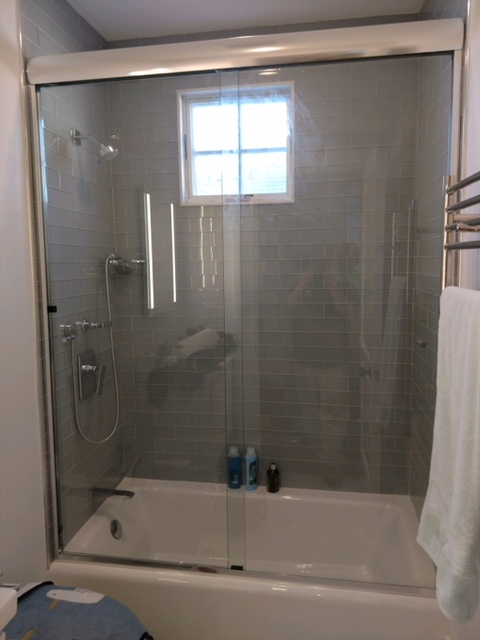 Our Installation Crew will walk you through the different options you have and make sure your shower enclosure encompasses your vision. 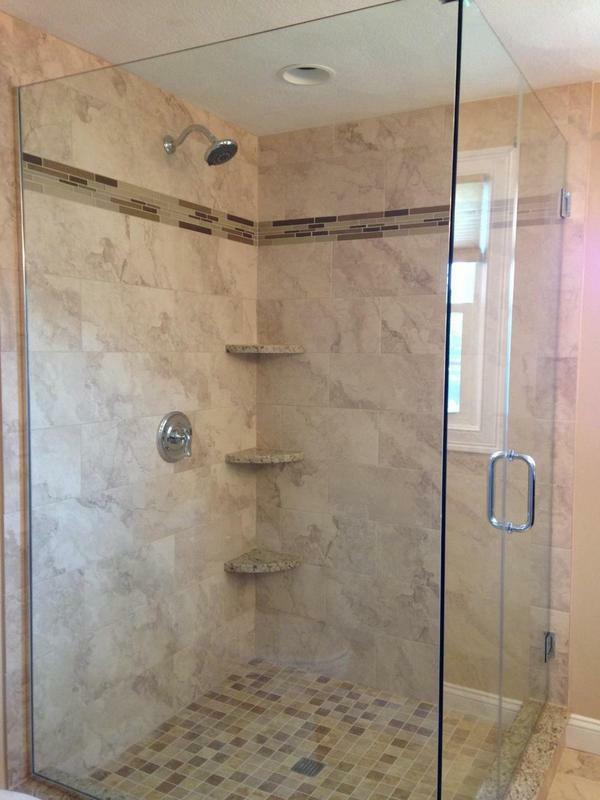 There are different finishes and styles offered for shower hardware. 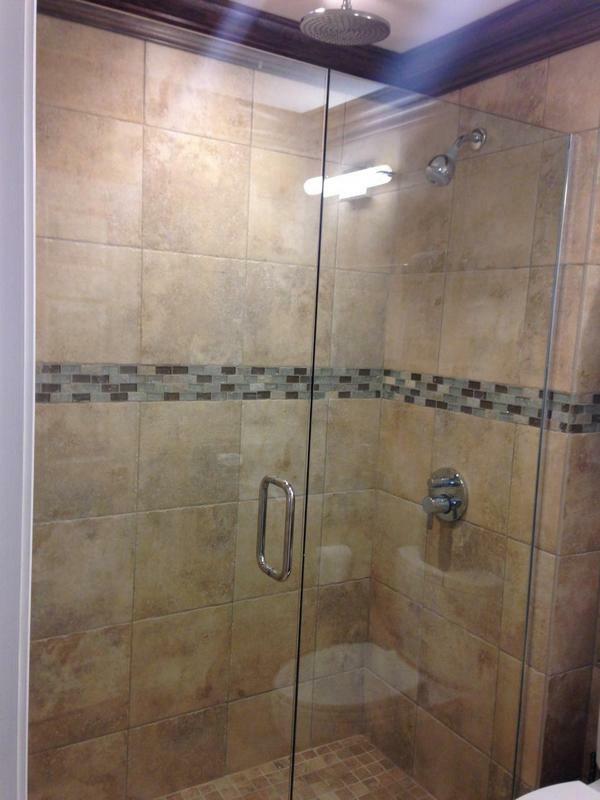 We use CRL Shower Hardware which has a very large selection of finishes and styles. Check our their selection here.